FAST SERVICE AND GOOD BACKUP. Purchased these with bungee cord to attach a banner to the front of my RV. Fast delivery, great price. I ordered with the plastic coating to reduce potential of rust. Everything work great. Thanks. Very happy with purchase and handling of purchase. The Stainless Steel bungee cord hooks are great. I use them with 'Marine' grade 3/8 bungee material. They work way better than the store bought bungee cords. The 3/16" hooks are way to big for the job. I ordered them to secure small/light stuff. Using the same body you use for a 5/16" hook makes them way too big for the smaller cord usage. I cannot use them. 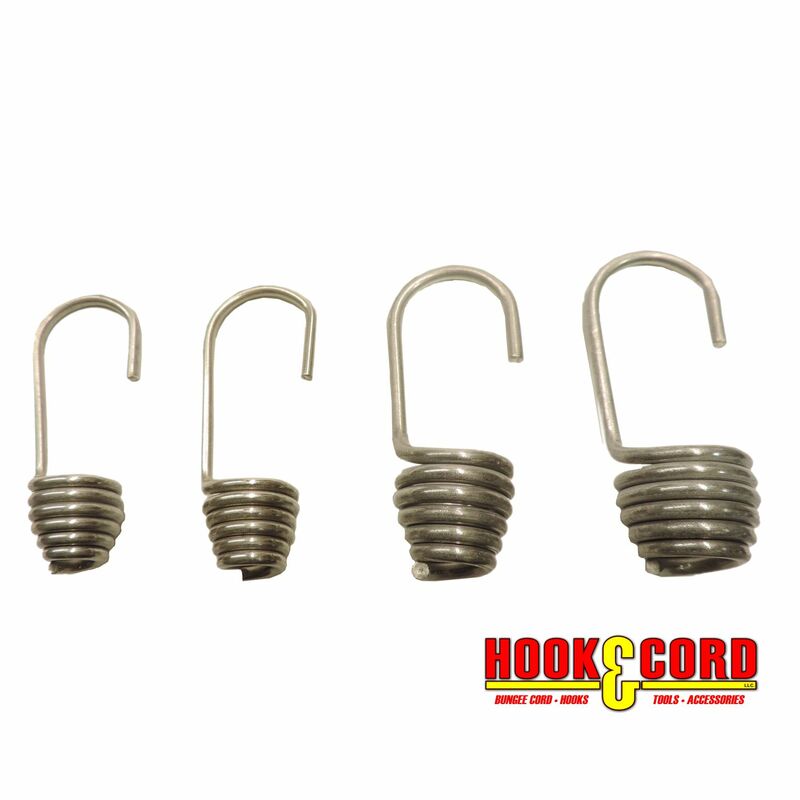 The 3/16 coated spring hooks were just what I needed to secure a cover over my boat. They are sturdy and well built. I am very satisfied and would recommend these to my friends. Q: I'm looking to buy some of your 1/4" bungie cord. Which hooks should I purchase to accompany this width of cord? Guessing I will be tying knots but what size of hooks do you recommend? A: 1/4" cord will not fit. You would need to use 3/16" cord. A: The hook that would work for the 1/4" Bungee Cord is our 14 MPC HK.